BIGOT, FRANÇOIS, financial commissary of Île Royale and intendant of New France; baptized 30 Jan. 1703 in the parish of Saint-André, Bordeaux, France, son of Louis-Amable Bigot and Marguerite Lombard; d. 12 Jan. 1778 at Neuchâtel, Switzerland. The Bigot family began to rise in the world at least three generations before that of François. At the end of the 16th century Bonaventure was a “merchant and citizen of Tours.” His son Étienne left this city for Paris around 1619. Since his marriage to Marie Renard in 1617 had brought him into the circles of the Bonneaus and the Fleuriaus, Étienne’s descendants could count on protection in the rank and fashion of French society. One of the Parisian cousins, Marie-Louise Bigot, married a Brulart de Sillery at the end of the 17th century. It was with Louis, the son of Étienne, and in the south west of France, that the critical turning point in the family’s history occurred. From then on its course followed a classic pattern: finance, the magistracy, the achieving of nobility. At the time of his marriage in 1657 Louis Bigot was attached to one of the most important tax farms in western France, financed in large measure by the Bonneaus, that of the import and export duties at Bordeaux (le convoi et la comptablie). 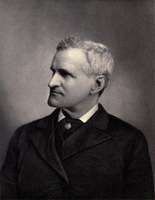 He served in succession as clerk, controller, collector, and finally receiver general. This position apparently enabled him to participate actively in the major occupation of the inhabitants of Bordeaux, the fitting out of ships, and with bottomry loans he helped to finance several voyages to Quebec and Newfoundland. It was probably this important contribution to the commercial life of the city that gained him his letters as a citizen (lettres de bourgeoisie) on 26 March 1698. He had further ambitions nevertheless. In 1682 he had become seigneur of Monaday, a fief in the suburbs of Bordeaux. In 1700 he purchased the post of head clerk in the parlement of Bordeaux for 50,000 livres and six years later that of secretary to the king, an office conferring nobility. This extraordinary ascent was confirmed by the marriages of his daughters into old families of the local aristocracy. 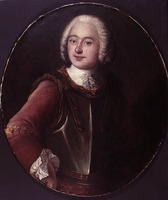 Louis’s son, Louis-Amable, father of François, the future intendant, maintained the level gained. His career was made in the parlement: after serving as lawyer and then councillor, he inherited the post of head clerk. In 1698 he married Marguerite Lombard, with a dowry of 40,000 livres. Newly arrived from Manosque, the Lombards had quickly settled into the local bourgeoisie and had specialized in maritime administration. 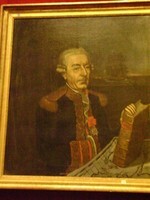 One of François’s brothers, Louis-Joseph, had a career as a naval officer. 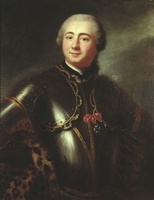 The eldest, Joseph-Amable, first tried the army but soon went into the magistracy, initially in the presidial court in Bordeaux and then in the parlement there. He sold the latter office in 1741, probably following financial difficulties. It was he who, so to speak, liquidated the patrimony; he abandoned the seigneury of Monaday in 1748, sold the house in Bordeaux in 1766, and died in 1780 at Saint-Dizant-du-Gua (dept of Charente-Maritime), apparently living as a noble, but in poverty, on his seigneury of Beaulon. Nothing is known with certainty of François’s education, though he probably took the courses offered by the Faculté de Droit in Bordeaux. In any case, at the age of 20, when legal studies were normally completed, he chose to enter the Marine administration. Two reasons are possible for his choice: first, a personal liking to which he later attested and which perhaps had come from his maternal ancestors; second, the appointment in March 1723 of his cousin, Charles-Jean-Baptiste de Fleuriau, Comte de Morville, as minister of Marine. His apprenticeship was lengthy and unremarkable; Morville was with the Marine for only a short period and was not able to secure rapid promotion for him. Taking the usual route, François first served as a scrivener and thus, in the port to which he was sent, was in charge of a limited sector under the authority of a commissary. He became a commissary himself in 1728, chief scrivener in 1729, and “resident commissary of the Marine” at Rochefort in 1732. This was his last post before his North American career. His superiors at Rochefort took Bigot to task for his love of gambling. Though it was a passion common in his milieu, he probably gambled more often than was usual. His enemies also accused him of playing the gallant, and there is nothing improbable in this. Nevertheless, his administration must have been methodical and efficient. 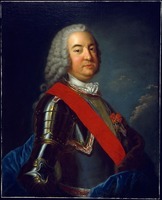 Moreover, his appointment to Louisbourg, Île Royale (Cape Breton Island), on 1 May 1739 as financial commissary replacing Sébastien-François-Ange Le Normant de Mézy definitely represented a promotion. Although the position did not correspond to his wishes, Bigot was prepared to accept it because the minister of Marine, Maurepas, had explained to him that “an intendancy in the ports of France cannot be expected if one has not served in the colonies.” On 30 July Bigot sailed for Louisbourg with the newly appointed governor, Isaac-Louis de Forant*; they arrived on 9 September. Anxious to impress his superiors in France, Bigot attended zealously to every aspect of the financial commissary’s duties [see Jacques-Ange Le Normant* de Mézy]. He reorganized the bookkeeping and personally supervised operations in detail. He worked well with the agent of the treasurers general of the Marine, Jacques-Philippe-Urbain Rondeau*, and the controller and attorney general of the Conseil Supérieur, Antoine Sabatier*. Though he justly criticized the king’s storekeeper, Philippe Carrerot*, he allowed him to retain his position. His only change in personnel was to advance the career of his protégé, Jacques Prevost de La Croix, who himself became financial commissary on 1 Jan. 1749. Bigot avoided the conflicts with the governor that had marked the administrations of his predecessors. 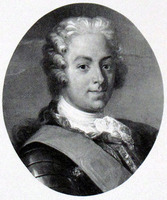 Forant held his position only briefly for he died in May 1740, and Bigot had amicable relations with his successors, Commandant Jean-Baptiste-Louis Le Prévost* Duquesnel and interim commandant Louis Du Pont Duchambon. 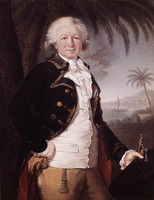 The Du Ponts, the pre-eminent military family in the colony, became personal favourites, particularly François Du Pont Duvivier and Louis Du Pont Duchambon de Vergor. The accounts for 1742 to 1744 indicate some of the ways in which this patronage worked. During these years Vergor received 714 livres in direct payments from the crown for the rental of a boat to carry Bigot about the island even though the financial commissary had already been granted 1,200 livres annually to defray his transportation costs. Similarly, in 1744 the crown was charged 33,000 livres to fit out Duvivier’s schooner Succès, which he had rented to the administration for 6,300 livres. Bigot’s patronage of the Du Ponts raises the question of his involvement in commercial activity at Louisbourg. To Guy Frégault* his participation seemed likely. With the outbreak of war between France and Britain in 1744 Bigot invested heavily in privateering. He had a two-fifths share in the Cantabre, which he purchased and fitted out at a total cost of more than 17,500 livres with his partners Joannis-Galand d’Olabaratz, Duvivier, and Duquesnel. Again in partnership with Duvivier and Duquesnel and with Duvivier’s brother Michel Du Pont de Gourville he held a quarter interest in the Saint-Charles, the total cost of which was 8,850 livres, and he obtained another quarter interest in a larger vessel, the Brador, acquired and fitted out for 34,590 livres. A Louisbourg financial commissary’s first concern was probably to assure adequate supplies for the troops and the civilian population. Throughout his administration Bigot thought, or wanted to give the impression, that the situation was dire. 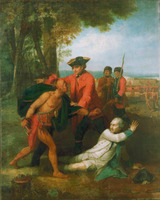 “If a scarcity of supplies were to occur in a year when we were attacked,” he wrote, “what assistance could be obtained from people dying of starvation?” The problem of supply had been a recurrent one for his predecessor, Le Normant, who in in 1737 had dispatched Prevost to Versailles to report on it. Bigot had no more success in solving the problem than Le Normant and like him had no reluctance turning to New England for supply if he thought it warranted. In 1743, in response to Intendant Gilles Hocquart’s pleas for assistance, Bigot contracted with Duvivier to secure from his New England contacts fish and foodstuffs potentially worth 135,000 livres. Because the crisis at Quebec then dissipated, the supplies fortunately remained in Bigot’s stores and made him certain of relative plenty for the winter. On the other hand, the following autumn nearly ended in disaster, hostilities having begun, but a few French ships sailing out of Quebec managed to reach Île Royale before winter and provided supplies for several months. Bigot considered a variety of measures to remedy this ever precarious situation. Though in 1739 he had opposed Hocquart’s plan to set up at Louisbourg “a granary of plenty,” a type of permanent warehouse which was to serve the two colonies, he brought the subject up again three years later, proposing the establishment of a storehouse for flour from New England. The minister turned a deaf ear. The financial commissary also hoped to develop farming in the areas of Île Royale that were potentially suitable, or on Île Saint-Jean (Prince Edward Island), where the land appeared to him to be good. During his administration the court continued the practice of sending out salt smugglers released from prison to help work the land, but they were more of a nuisance than an aid to the colonists and the practice ceased in 1741. Rationing was another measure to protect supplies. Even though Bigot did not succeed in finding any long-term solution to the problem, he accomplished so much so well that the inhabitants never suffered from hunger, even during the siege of May-June 1745. Among Bigot’s other concerns, the two principal were fishing and trade. The French authorities had, after all, not assigned to Louisbourg a solely military function; they wanted it to replace Newfoundland as a base for fishing and to serve as a depot for French merchants plying the North Atlantic [see Philippe Pastour* de Costebelle]. In 1739 the fisheries might have seemed to be excellent; in reality they were far from good. The scarcity of labourers was beginning to diminish profits in alarming fashion. For many fishermen, and their financial backers, this decline meant ruin, in more or less short order. Bigot thought the government should intervene and on its own authority reduce the sailors’ wages, thus sustaining the profits of the entrepreneurs; but then it would be absolutely essential to find markets. He was to suggest a few to his superiors; however, various factors, privateering being one, in the end brought his plans to nothing. A graph of the annual value of fishery production – the fish themselves or the oil – indicates a drop of more than 55 per cent between 1739 and 1744; the value of production fell from 3,161,465 to 1,481,480 livres. The statistics on the balance of trade were more hopeful, at least in appearance. The information available suggests that trade underwent a notable expansion – nearly 50 per cent – in the period 1739–44 and that it almost always presented a favourable balance. A comparison of a graph for trade with the graph for the fisheries, the island’s sole resource, makes it evident that Louisbourg’s functions as a depot and an entrepôt had become more marked in these years. Trade, carried on in a fourfold direction, had decreased with Canada because of poor harvests, had stagnated with France, but had increased with the West Indies and the British American colonies [see Sébastien-François-Ange Le Normant de Mézy]. The minister was upset at the growth in foreign trade, but Bigot strongly denied the evidence. It is necessary to consider only the number of ships from British Acadia and New England that berthed at Louisbourg – 49 in 1739, 78 in 1743 – when in the same years French ships numbered respectively 56 and 58. Did the financial commissary want to conceal his own hand, his personal participation in business at Île Royale? Bigot had also to take a close interest in military affairs. Fate indeed dictated that the 20 odd years of his North American adventure would be marked by constant war and that his name would be connected with two stunning defeats. By 1739 in fact, the year of his arrival at Louisbourg, tense situations had arisen between Paris and London; the following year Duquesnel and Duvivier even proposed an attack on Annapolis Royal (N.S.) and Placentia (Nfld). But no action occurred. The financial commissary busied himself with things that seemed much more mundane, the importance of which, apparently, eluded the officials at Versailles: securing decent living conditions for the soldiers (although he was reprimanded by the minister in 1739 for not suppressing the officers’ canteens) and patching the stonework walls and bastions of a fortress that had never been completed and that had been badly maintained. If the colony, when war came in the spring of 1744, was relatively ill prepared and suffered mishap after mishap, it was not because of negligence on Bigot’s part. He made an increasing number of appeals to Versailles and Quebec, and he organized privateering, though its effects were neutralized by the activity of American sailors. But there were some things he was powerless to control. In May 1744 Duquesnel appointed Duvivier to lead an expedition against Canso, whose commander, Patrick Heron*, surrendered on 24 May. 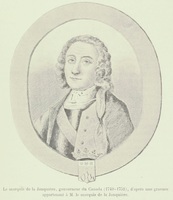 Flushed by the easy success of the mission Duquesnel devised a plan for a joint assault on Annapolis Royal by Nova Scotia Micmacs led by the missionary Jean-Louis Le Loutre, a small naval squadron, and a detachment commanded by Duvivier. This time the enterprise was a failure. Bigot could organize the means for such an operation but not change military incompetency. In December Bigot faced a more severe test. Depressed by the threat of a British attack [see Joannis-Galand d’Olabaratz] and by the flagrant abuses of which it had long been the victim, the Louisbourg garrison erupted into mutiny. Was it Bigot who by his boldness, as he boasted, succeeded in keeping the soldiers in check? His role is not clear. The general amnesty which Duchambon, interim commander since the death of Duquesnel in October, promised the mutineers had its desired effect, but since Bigot held the purse-strings and controlled the disposition of stores, his role in dealing with the mutiny must have been important. To Maurepas Bigot pointed out the great danger Louisbourg was in from possible British attack. The long-expected fear was realized in April 1745 when warships under Commodore Peter Warren* began to blockade Louisbourg. On 11 May American provincial troops commanded by William Pepperrell* landed unopposed at Pointe Platte (Simon Point), one mile west of Louisbourg. Although outnumbered, the garrison held out for 47 days, but by the end of June it was necessary to accept the evidence in the reports of the artillery officer, Philippe-Joseph d’Allard de Sainte-Marie, and the chief engineer, Étienne Verrier*: from a military point of view, further resistance was futile. On 26 June, at a council of war which included Bigot, the unanimous decision was made to capitulate. Throughout the siege Bigot had ensured an adequate and fair distribution of provisions. The officers obtained an honourable capitulation, and Bigot at the same time effected an advantageous commercial transaction. Merchandise in the storehouse was sold to the British and “converted into bills of exchange on London”; for this transaction he received a substantial bonus from the minister, but he probably also benefited personally from it. Bigot returned to France on the Launceston, arriving at Belle-Île on 15 July 1745. The period of rest he wanted was cut short by the minister’s orders; he was sent to Rochefort to look after the soldiers of the garrison, and then to assist in equipping the ships leaving for Quebec. If he had hoped for a post in France, he must have been disappointed. His Canadian mission was beginning to take shape; the Acadian adventure was not yet concluded. By the end of 1745 Maurepas had in fact decided that Île Royale was to be recaptured. The Duc d’Anville [La Rochefoucauld*] received command of the expedition and by January 1746 preparations were under way. The operation was no small affair; to ensure the supplies alone, 1,100,000 rations had to be prepared. Bigot, who was appointed commissary general only at the end of February, managed the task with diligence. On 10 April everything was ready, but it was already late if the meeting of all the French forces at Chebucto Bay (Halifax harbour) planned for 20 May was to be achieved. The gathering of the various parts of the expedition in western ports of France took place only on 17 May, it was not possible to sail until 22 June, and the Acadian shores were not reached until 10 September. Then came the misfortunes of severe storm, abrupt changes of command, and illness in the crews. In these circumstances it was not possible to undertake any action. Powerless, Bigot watched the ruin of the expedition he had prepared with such effort. Even the necessary return to France was made with difficulty, and the ship on which Bigot sailed was wrecked on a shoal off Port-Louis. He escaped with his life but lost a good part of his personal belongings. By contrast, the next year, 1747, was one of the most tranquil of his busy life. He spent it completing reports about the previous year’s expedition, closing the Louisbourg accounts, and resting at Bordeaux and Bagnères (probably Bagnères-de-Bigorre). 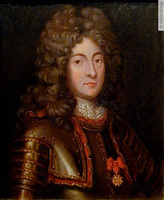 He had only one cause for worry: Maurepas gave him to understand that he was to replace Hocquart as intendant at Quebec. At the time of his trial in 1763 Bigot had it recorded that he had “made the utmost attempt to get out of it.” However he resigned himself. On 17 June he wrote to Maurepas: “If you have need, my lord, of my services in this colony, I would go there, I assure you, with great pleasure on the ships you will be sending, and I would leave the waters as soon as your order is received, the service of the king being dearer to me than my health.” Bigot sailed on the Zéphyr and arrived at Quebec on 26 Aug. 1748. He was not going to return to France, except briefly, until 21 Sept. 1760 when he went aboard a British ship, the Fanny, put at his disposal at Montreal by article 15 of the capitulation Governor Vaudreuil [Rigaud] had signed on 8 September. Bigot’s duties in Canada are usually described as those of the chief civil officer, but this designation is a misleading anachronism. Frenchmen knew no civil order in the British sense of the term until the revolution of 1789, and their paternal or absolute monarchs did not divide duties among officials according to whether they were civil or military. Besides, Bigot was not one of the usual intendants of police, justice, and finance chosen from among the maîtres des requêtes and commissioned to administer provinces; he was one of the officiers de plume, to use the 18th-century expression, commissioned to administer ports and colonies. He was thus a career officer in the Marine from that part of the ministry concerned with administering funds, supplies, equipment, timber, shipbuilding, housing, hospitals, the populace in general, and everything, indeed, except fighting. Neither his experience at Louisbourg and at French ports nor his new duties in Canada could fairly be described as “civil” administration except in the limited sense that he shared authority with a governor who was the military commander-in-chief. Bigot’s task was to direct trade, finance, industry, food supplies, prices, policing, and other such matters in one of the march-lands of the French empire colonized and maintained for the purposes of imperial expansion. When Bigot arrived, five years of war had just been concluded by a peace treaty which intelligent observers, including Bigot, knew to be no more than a truce. His fundamental duty was to assist the governor in the tasks of imperial expansion. A grand strategy for Canada as a bastion of a growing French American empire was already being worked out in 1748 by the commandant general, La Galissonière [Barrin*], but the part Bigot as intendant had to play in it he did not, it appears, play very well. He did not do well partly because the funds granted each year were not commensurate with the task and partly because the military and naval situations, which he thoroughly understood, made him pessimistic and ultimately cynical, as well they might. He pointed out after the Seven Years’ War that an aggressive strategy had made Canada a theatre of struggles it could not cope with. Still, in 1750 he worked with Governor La Jonquière [Taffanel*] to stir up and arm the Indians in Acadia against Halifax and to promote emigration of French Acadians and also the resistance among them that was to lead to their expulsion [see Jean-Louis Le Loutre]. Bigot did not oppose the futile Ohio expedition in 1753 led by Paul Marin* de La Malgue but secretly joined in the profit-making preparations which made it so expensive. He expressed pessimistic fears at a meeting of the war council called by Vaudreuil just after the defeat of Montcalm* on the Plains of Abraham in 1759 and so did not help to prevent the fateful decision by Jean-Baptiste-Nicolas-Roch de Ramezay to surrender Quebec. Montcalm blamed him for the economies and shortages that hampered the forces, linking them with the tyranny and corruption he saw in Bigot’s intendancy, but this accusation may be going too far. 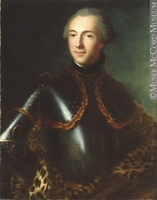 An intendant and officier de plume such as Bigot, by the very nature of his responsibilities, was likely to quarrel with an officier d’épée such as Montcalm or a governor such as Vaudreuil. Montcalm was hardly a reliable judge; his copious criticism betrays his own unstable, tempestuous character. His harsh opinions should be tempered by the knowledge that, on the whole, the calm and capable General Lévis maintained close and friendly relations with Bigot. Bigot showed much greater ability at one of the intendant’s traditional tasks of maintaining food supplies. Although his record was marred by a greedy attention to personal profit, he could fairly claim to have fed the forces and the populace better than might have been expected in the hungry winters of 1751–52, 1756–57, and 1757–58. War brought more French (and Irish) soldiers to feed and interrupted agriculture by taking men off the land to fight and to join in the swollen wartime supply trades. More vessels plied the St Lawrence than ever before to and from Europe, the West Indies, and Île Royale. Never the peasant people of the familiar legend, Canadians were excited by new opportunities for buying, selling, hoarding, profiteering, smuggling, and counterfeiting in the turbulent war and inter-war years. Bigot tried to keep tenants on the land by enforcing the edicts of Marly (6 July 1711), which provided that uncultivated land would escheat to the landlords, but he had little success. The growing need for a rational, controlled food supply is reflected in Bigot’s many regulations for the distribution and pricing of grain, flour, and bread, a creditable administrative effort hard to appreciate except in the larger context of efforts to feed hungry peoples in, say, Bourbon France, British India, and some Third World countries today. History shows that authorities managing food supplies, however vigorously and successfully, are usually seen as corrupt, arrogant, and ineffectual. No one knows yet whether Bigot systematically starved the Canadian people in a rapacious pacte de famine as Louis Franquet* and others then thought, or whether their accusations should now be viewed as one of those legends so common in 18th-century France. 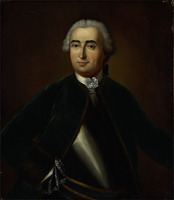 We do know that he appointed the purveyor general of the French forces in Canada, Joseph-Michel Cadet, and supported his remarkable efforts to bring supplies from France in 1757–60. The production of other commodities besides food was also declining during Bigot’s term of office and the effects of Bigot’s intendancy are not clear in this field. 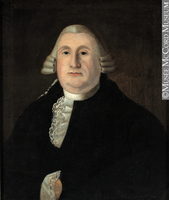 He quickly planned to improve the fur trade so as to rival the British trade but it is hard to know what he accomplished. The fur trade no doubt languished, like the ginseng trade, because of falling demands on overseas markets, but how did Bigot affect prices and sales by his secret monopoly of the annual fur auction? The Saint-Maurice ironworks failed before Bigot’s time with the financial collapse of its director, François-Étienne Cugnet*, but Bigot did little or nothing to revive it. 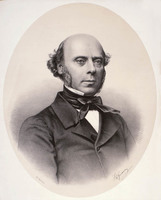 Nor did he revive the infant shipbuilding industry which his predecessor Hocquart had attempted to nurture but which still suffered from rising prices, shortages of materials and skilled labour, and the competition of captured prize ships from New England yards [see René-Nicolas Levasseur]. He seems, on the other hand, to have done something to stimulate the growing of hemp and the making of rope which had been declining since 1744, soon after war broke out, and yet French merchants exported much rope to Quebec before and during his intendancy in response to rising prices which Bigot apparently could not control. In short, the wars depressed the colonial manufacturing of most commodities and encouraged importing from France in spite of higher customs duties imposed on imports and exports from 1753. Bigot, like Bourbon officials generally, was more successful at public works, public order, and policing than at economic management. His record in such matters great or small shows no lack of intelligence or hard work, whatever his other deficiencies, and is comparable with the record of many an intendant in France. “Tyranny” is the word that springs to mind when reading the list of Bigot’s ordinances directing people’s movements and behaviour in detail, prescribing severe punishments for offenders, and relying in criminal cases on the stocks, the gibbet, the execution block, and the tortures of the boot, built by an official carpenter, Jean Turgeon. Yet tyranny of this type was standard French practice, and most of the 29 cases of torture of criminal suspects in Canada were before Bigot’s time. He showed a rare tolerance of the Huguenot merchants in the colony and in dispatches of 1749 defended them against the bigotry of Bishop Pontbriand [Dubreil*] on the grounds that they were harmless in religion and indispensable in trade with France. Furthermore, many of Bigot’s ordinances reflect a paternal effort to save the people of a turbulent frontier society from their own folly and lack of civic sense. Even more than previous intendants he tried to prevent people from firing guns in towns, fighting in church doorways, dumping rubbish in streets and harbours, and letting their livestock wander about untethered in the streets. He paved and maintained the streets of Quebec with the proceeds of a tax of 30 or 40 livres a year on tavern-keepers, and tried to regulate traffic. His authoritarian zeal went so far, in fact, that Rouillé and other ministers advised him to leave more of the policing work to the courts. But it was not in Bigot’s nature to leave things to courts for he was, after all, an 18th-century Marine officer endeavouring to run the colony as he might have run the naval installations at Brest or Rochefort, where he would have preferred to be. François Bigot did not want to live in Canada as, indeed, few Frenchmen did. Again and again he applied for a posting in France. A posting to Quebec was a kind of exile like a posting to any other remote bastion of the empire and he had to endure it for 12 years, except for an eight-month visit home between October 1754 and May 1755. He seems to have been demoralized by this exile, by his forebodings of imperial disaster, and by an 18th-century officer’s natural propensity for graft, and it is perhaps surprising that he worked as well as he did. But his work as intendant has not yet been fairly judged or even clearly portrayed and will not be until the evidence for it has been distinguished from the testimony gathered in the affaire du Canada. One version of Bigot’s 12 years as the last French intendant in Canada was told by a tribunal of the Paris Châtelet criminal court, when it published a long judgement of him and other Canadian officials on 10 Dec. 1763, the same year that the treaty of Paris was signed. Bigot had then been imprisoned in the Bastille for two years and was now sentenced to banishment from France forever. This disgraceful end and the court’s version of his career have made it even more difficult to form a just opinion of Bigot as intendant, not because he was innocent of the charges brought against him but because the Bourbon administration was in general founded upon venality, patronage, and corruption of the kind he was accused of, because Bourbon judicial procedures were notoriously unfair to the accused, and because the government needed scapegoats for the loss of Canada and excuses for defaulting on debts to ease its own perilous financial situation. We find that during and after the war, the minister of Marine was writing to other intendants, too, as though they were corrupt: Vincent de Rochemore in Louisiana and Pierre-Paul Le Mercier de La Rivière de Saint-Médard in Martinique, for example. “Either you are working for your own advantage or for that of the king. Which do you prefer us to think?” he wrote to Le Mercier on 13 Oct. 1761. Accused of gross profiteering by forming a trading company with English merchants, this, intendant was recalled in disgrace on 30 March 1764. A few years later during the American War of Independence, French colonial affairs were being conducted with similar confusion and corruption. A knowledge of this background helps to put Bigot’s career in proper perspective. The fraud of which Bigot was accused was not based upon mere forgery or a surreptitious misuse of funds; it was a system of private enterprise on a grand scale with the collaboration of most of the other colonial officials and many army officers and merchants working under the terms of personal understandings or even formal companies. This sort of corruption was a part of the political culture in Bourbon France, a way of life inevitably promoted by authoritarian governments and not changed until after the revolution, when new standards of honesty and new methods of control to enforce them were gradually imposed upon officials by a series of elected legislatures. Until then, the French government had had a double standard: it blamed its poorly paid officials for what one naval officer called “the insatiable dragon of avarice,” which could not in general be suppressed in a system based on venality and patronage. Furthermore, Bigot’s system of corruption was merely part of a vice-regal court which he set up at Quebec and which was essentially modelled on the royal court at Versailles: the magnificent social life with gay parties and balls and sumptuous dinners in the midst of a wretchedly poor populace; the mistresses, usually the wives of ambitious officers and others – Michel-Jean-Hugues Péan, major at Quebec, for instance – glad of the endless favours they obtained in exchange and flattered by such distinguished company; the preferments, employments, contracts, and business opportunities shared out among these gay circles; the complicated pattern of loyalty and jealousy among the favoured few and the bitterness among the excluded or the neglected. 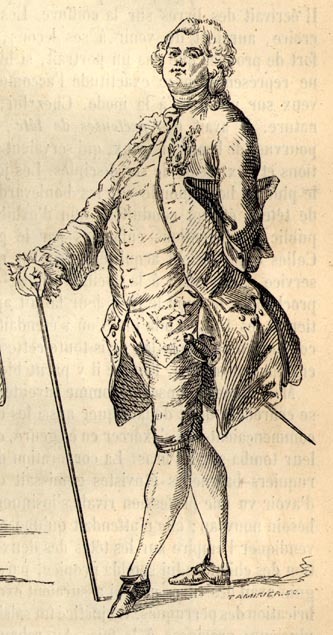 Unlike Louis XV, however, an official such as Bigot might himself fall victim to sudden shifts of fortune and favour. The principal difference between Bigot and the previous Canadian intendants was that his opportunities for enrichment were much greater at a time when more money was being spent in Canada than ever before; his career as an officer in the Marine had prepared him to seize every opportunity that might be safely exploited, just as other Marine and military officers did in that age, especially out in the colonies; and he had the misfortune to administer a colony lost to the enemy during a conflict that had been costly and inflationary. No doubt Bigot deserved his fate, but more research is needed before we shall know whether he was a particularly corrupt intendant or merely a typical intendant in a corrupt system. Even before leaving France Bigot had made arrangements with a Jewish shipping firm of Bordeaux, David Gradis et Fils, to form a company for trading to Quebec. They signed an agreement dated 10 July 1748 by which Gradis was to put up whatever capital was required to dispatch a ship of about 300 tons loaded with wine, brandy, and other goods, and to take half of the profits or losses of the firm. Bigot held a 50 per cent interest in the firm but soon ceded a 20 per cent interest to the controller of the Marine at Quebec, Jacques-Michel Bréard, and so himself retained 30 per cent. This agreement was to stand for six years from the date of the first ship’s departure from Bordeaux, but it was renewed in 1755 and not cancelled until 16 Feb. 1756. The first ship, the Renommée, sailed early in 1749 under Captain Jean Harismendy with a cargo valued at 106,000 livres and it also carried the personal belongings of Bigot, Bréard, and the new governor, La Jonquière. Each year thereafter Gradis sent off at least one ship, and usually more, loaded with the firm’s goods, but not all of Gradis’s ships were sent for this firm. He also shipped cargoes of food, equipment, and men for the crown and, during the war years, for the official purveyor general, Cadet. Bigot and Bréard disposed of the firm’s shipments at Quebec, usually by purchasing them for the crown at prices set by Bréard, the controller, and then either sent the ship on to the West Indian colonies or found a return cargo to France. Furthermore, Bigot saw to it that the 3 per cent duty imposed from 1748 on goods entering or leaving Canada was not collected on the firm’s shipments. The seventh clause in the agreement with Gradis had provided that the partners in Canada could fit out ships for trade with the West Indies or elsewhere in the Americas provided they sent Gradis proper accounts of such business. Whether Gradis was kept informed is not clear, but Bigot and Bréard soon acquired shares in a considerable fleet of perhaps 15 schooners, snows, and other small vessels which plied between Quebec, Louisbourg, and the West Indies. These included the Angélique, named no doubt for Bigot’s mistress, Mme Péan [Angélique Renaud d’Avène Des Méloizes]; the Saint Victor, named after Jean-Victor Varin de La Marre, the commissary in charge at Montreal; the Saint-Maudet, named for the fishing post of Saint-Modet on the Labrador coast belonging to Bréard; and the Étoile du Nord, Jaloux, Aimable Rose, Finette, Trompeuse, Commode, Deux Sœurs, and Saint François. Some of these were built at Quebec under Bréard’s general supervision, and held up the building of other ships, even ships for the crown. War losses tended to discourage transatlantic shipping, but the profits rose along with the risks. In 1759 Gradis bought the Colibry (140 tons) through Verduc, Vincent et Cie of Cádiz and loaded it with Spanish wines and liqueurs at a total cost of 114,524 livres, of which Gradis’s interest was 50 per cent; he induced Péan to take two-thirds of this 50 per cent interest. Péan sold half of his interest (i.e. one-third of Gradis’s 50 per cent) to Bigot. The Colibry reached Quebec with a captured prize worth 140,000 livres and the partners made handsome profits. In 1755 and 1756 Bigot had a business agreement of some kind with the receiver general of finance for La Rochelle, Gratien Drouilhet, whose attorney at his death on 30 Jan. 1756 acknowledged a debt of 554,546 livres “in cash and promissory notes” to Bigot. This money may have been simply a loan but was more probably the investment and profits from a trading partnership concealed in the trading company Drouilhet had formed with Péan, Louis Pennisseaut, and Pierre Claverie*, one of whom was probably Bigot’s front man. Within the colony, Bigot as intendant leased the fur-trading post of Tadoussac in 1749 to Marie-Anne Barbel, widow of Louis Fornel*, instead of to François-Étienne Cugnet, who had had it formerly and expected it to be renewed, and Bigot thus held back a personal share in the profits. He also kept the two important concessions of La Baie and La Mer de l’Ouest, which included many forts, in the hands of such friends as Péan and Jacques Legardeur* de Saint-Pierre. In 1752 and the years following, Bigot formed a secret company to buy the furs from forts Niagara (near Youngstown, N.Y.), Frontenac (Kingston, Ont. ), and Rouillé (Toronto) that were supposed to be auctioned to the highest bidders at Quebec. He held a 50 per cent interest in this company, Bréard a 25 per cent interest, and Guillaume Estèbe and another partner 12.5 per cent each. They sent the furs to Denis Goguet, a prominent merchant of La Rochelle, who sold them in France. Before Bigot’s arrival in the colony, the contract to supply the government with flour had been awarded to Marie-Anne Guérin, the widow of the former contractor, Nicolas Jacquin*, dit Philibert. In 1750 Bigot granted this contract to Louise Pécaudy de Contrecoeur, the wife of François Daine*, one of Bigot’s subdelegates, who called in her nephew, Péan, adjutant at Quebec since 1745. For the next few years the army and the government posts were supplied with flour by a group including Garaud, Jean-Pierre La Barthe, Claverie, Jean Corpron*, and Bigot himself who either imported their supplies or bought them from the Canadian habitants. It was in connection with this trade that in 1752 Bigot asked Rouillé, the minister of Marine, to send out 70 bushels of flour on the Saint-Maudet and 45 bushels on the Étoile du Nord, two ships which he owned jointly with Bréard and Péan. Varin later accused Bigot of holding a 25 per cent interest in a company with himself and a Montreal merchant, Jacques-Joseph Lemoine Despins, for importing supplies; these were purchased for the crown at inflated retail prices in Montreal, whereas they ought to have been purchased at wholesale prices in Quebec. He further alleged that during the Seven Years’ War the transporting of food and munitions to outlying posts was managed by another company in which Bigot had a share, along with Péan, Bréard, Varin himself, and two clerks. In 1756 Bigot, Péan, and Varin formed a company to buy a shop in Quebec from the importing merchants Jean-André Lamaletie and Estèbe. The treasurers general’s agent, Jacques Imbert*, was engaged to alter the records in order to make their large profits look smaller. Bigot almost certainly had a share, too, in the company formed under Cadet’s name known as the Grande Société, which supplied food to the army, the garrisons, and the government in general from 1 Jan. 1757; and this company, a profit-making concern without check or hindrance, appears to have made great sums in various ways. While Bigot and dozens of officials and officers in Canada were making private fortunes, the Canadian populace was suffering from inflated prices, food shortages, and occasional severe famines. A serious economic crisis developed in which prices rose by 1759 to perhaps eight times their pre-war level, and in the same year goods in Canada were estimated to cost about seven times more than in France. Bigot’s rapacity certainly contributed to this deplorable situation, but several other factors must each have weighed as much or even more. First, it is clear to the 20th-century eye – and was to some 18th-century observers, including Bigot himself – that costs in Canada rose because of inflation caused in part by the purchases for the troops sent out in 1755 under Jean-Armand Dieskau*. There had been signs of inflation at the end of the previous war in 1748, and the crown spent even more money in the Seven Years’ War. Secondly, inflation was promoted by wartime shipping costs and losses which made commodities scarce and expensive in Canada. The British fleet and privateers patrolled the seas even to the mouths of the French ports and, although many French ships still managed to reach Quebec, marine insurance, freight rates, and wages were very high [see Joseph-Michel Cadet]. Those costs were inevitably reflected in the prices of the imported goods. Thirdly, the various paper currencies on which the Canadian economy depended – the playing-card money, the payment orders, the treasury bills, and the bills of exchange drawn annually on the treasurers general in France by their Quebec agent, Imbert – all these depreciated in value during the 1750s. The French government itself did much to cause this depreciation by taking steps which tended to shake confidence in the credit of the treasurers general and of the crown itself. As early as 15 June 1752, Rouillé wrote to Bigot that three-quarters of the bills of exchange drawn in Canada each autumn would have to be deferred for two or three years “in order that . . . the treasury of the colonies may gradually recover from its depleted state.” These bills were consequently marked to be cashed in three terms, and in business circles the ones to be cashed in two years were soon at a discount of 12 per cent or more; those to be cashed in three years at a discount of 18 per cent or more. Even with these planned deferments, the two treasurers general for the Colonies had great difficulty in cashing the Canadian bills of exchange because of a large debt they were carrying and because of the crown’s general financial difficulties. Ultimately, the Canadian paper currencies depended for their value upon the soundness of the French government, but the government was in serious financial straits during the Seven Years’ War. More and more pressed for cash to pay for the continental war against Frederick II of Prussia as well as the maritime war against Great Britain, the government resorted to desperate financial projects. The controllers general of finance appealed to every possible source of support and also deferred payments. For instance, an indemnity of 20,000 livres due to a Quebec merchant, Jean Taché*, with whom Bigot signed an agreement on 20 April 1751 for the use of a brigantine, the Trinité, wrecked entering Louisbourg harbour soon afterwards, was not authorized in Paris until late in 1757. Again, Abraham Gradis, Bigot’s former partner, spent the spring and summer of 1759 in Paris trying to induce the government to pay him a few hundred thousand livres and talked of impending disaster unless he were paid. Some people at the ministry of Marine and Colonies, such as Sébastien-François-Ange Le Normant de Mézy in 1758 and Emilion Petit in 1761, could see how unpaid merchants, sailors, and port workers were discrediting the royal government. “Those who in good faith make contracts with the king,” wrote Petit, “are cheated by the small degree of good faith and promptitude in both payments and receipts.” A memorandum of 1758 had already ascribed the high prices in Canada partly to “the slowness in the payment of bills of exchange [drawn] on France.” Merchants and others who were naturally, and as it turned out rightly, uneasy about the paper credit system on which trade to Canada was based, charged more and more for goods and services. The inflation dramatically increased government expenses in Canada, and this expansion in turn increased the financial strain. In 1750 the colony cost the crown a little more than two million livres, in 1754 the cost more than doubled, and in a letter of 15 April 1759 the intendant reckoned that the bills of exchange for that year would amount to over 30 millions. Considering that the ministry had chided Bigot as early as 1750 for the relatively small sums he was then spending in excess of the king’s accounts, we may imagine why the enormous demands of the later war years goaded the ministry to investigate and then to prosecute the intendant they held responsible. It was big bills rather than tales of corruption which brought the official wrath down on Bigot’s head, for the government was nearing bankruptcy. For historians unaware of the financial crisis of the crown, unaware of the normal corruption of Bourbon government, it has been easy to see Bigot’s arrest in November 1761 as a natural result of denunciations sent in to the government. Anyone who makes this assumption, however, must be overlooking the timing and circumstances of the arrest and also the long delay of at least a decade between the first denunciations and the arrest. Various reports of Bigot’s commerce and corruption began to reach Versailles soon after his arrival in Canada in 1748, and these were taken seriously as the minister’s letters show throughout the 1750s. Bigot was denounced by the engineer Louis Franquet in 1753, the commissary of wars André Doreil* in the middle 1750s, Montcalm soon after his arrival in 1756, the commissary for Montreal, Varin de La Marre, in 1757, Louis-Antoine de Bougainville* in 1758, the commissary Charles-François Pichot de Querdisien Trémais in 1759, and many merchants and others throughout his term in Canada. A buzz of more or less slanderous gossip surrounds anyone in authority in nearly any society, and experienced ministers of state know it for what it is. In Bourbon France, as Guy Frégault so rightly remarked, “the court, faithful to a system almost as old as the colony, encouraged spying.” Gossip, rumour, and the secret denunciations of unknown accusers were regularly admitted as evidence in courts of law and this practice was in accord with the prevailing morality taught, for instance, at Jesuit schools. Had the minister of Marine wanted to commit Bigot to trial for corruption there would have been plenty of testimony against him at any time during his career in Louisbourg and Canada, but if allegations of corruption had been enough to bring an official to trial most officials would have been on trial most of the time. The truth seems to be that personal honesty or dishonesty weighed less in a man’s career than personal loyalty, patronage, family reputation, the accidents of circumstances, and the ups and downs of the struggling factions which ramified throughout the social and political hierarchies. Bigot’s fate, like any official’s fate, depended upon the esteem of patrons and superiors caught up in the struggles of factions. When the Seven Years’ War began to go badly for France in 1757, the ruling faction of the Duc de Choiseul began to make changes and to look for scapegoats. “Too impotent to attack corrupt practices at their roots and to punish the chief offenders,” Moufle d’Angerville wrote soon afterwards in his Journal historique, “it sought victims who did not have unduly powerful friends and yet [were] likely by their position, number, and the nature of their crimes, to create a sensation. Monsieur Berryer [minister of Marine and Colonies in a government Choiseul dominated] . . . found all the necessary conditions in the leaders and administrators of Canada. . . .” It was fatally easy for the government to link Bigot’s evident corruption with the inflation in Canada, and by treating them as simple cause and effect to trump up a plausible excuse for suspending payments on the Canadian bills of exchange. It would have been an unwise betrayal and politically damaging, however, to suspend payments while the colony was engaged in a struggle for survival against an enemy siege, and the defeat on the Plains of Abraham was therefore a financial boon for the royal government. On 15 Oct. 1759, just after the first news of the defeat of 13 September had reached France, the government felt politically strong enough to suspend payment of the colonial bills of exchange and so ordered in an official ruling. In view of the defeat it seemed, indeed, necessary to suspend payments which might now profit the enemy as well as the corrupt officials. The crown was thus able to disguise its own inevitable bankruptcy as a politically and morally necessary suspension of payments. By association Bigot and the other officials from Canada were soon made to serve as scapegoats for the military and naval disasters as well as the financial ones. The affaire du Canada, one of the most notorious of the century, was thus a many-sided affair. It began, so far as the general public was concerned, with the arrest and imprisonment of the Canadian officials, including Bigot, who was imprisoned on 17 Nov. 1761, and many of his former business associates, Cadet and Péan among them. It proceeded with their trial by a commission of the Châtelet numbering no fewer than 27 magistrates under the chairmanship of the lieutenant general of police, Antoine de Sartine. It ended with the judgement of 10 Dec. 1763, a lively 78-page essay in scandal, printed and circulated in hundreds of copies, announcing Bigot’s banishment forever, the confiscation of all his property, and the heavy fines imposed on all the condemned men. For perfidious officials who seemed to have plundered a colony and lost it to the enemy, the observing public would in general have been pleased with the torture and death recommended by the prosecutor on 22 Aug. 1763. A clerk in one of the bureaux of the treasurers general of the Marine wrote to a friend on 22 Oct. 1763, “The gentlemen from Canada have not yet had judgement rendered, this is [due], it is said, at the end of the month; it is true that they were sentenced by the public a fortnight ago, Monsieur Bigot [to have] his head cut off, and Pean and Cadet [to be] hanged. . . .” Meanwhile, behind the scenes the case for the crown was being prepared under the supervision of a magistrate at the Châtelet criminal court, Étienne-Claude Dupont, acting in close consultation with Berryer and Choiseul. They sought evidence and testimony high and low throughout the kingdom, whereas Bigot’s only recourse was a lawyer who drew up a factum, Mémoire pour Messire François Bigot, ci-devant intendant . . . , from the prisoner’s unaided memory. Particular care was lavished by an impoverished government on the financial side of the trial, so that all possible funds could be recovered and government debts cancelled. Like all the Canadian officials who made big profits in private business, Bigot had dispatched his savings to France so that he could enjoy them on his return. He had planned to live like a gentleman on a country property in an agreeable French province surrounded by family, friends, and servants. With the instincts of an 18th-century businessman, he had divided his fortune among several friends and agents and diversified his investments. 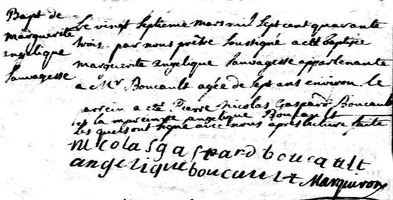 A full list of his fortune, such as the government agencies compiled, would be tediously long, but the crown ordered him to pay a total of some one and one-half million livres as “restitution.” Through a friend, Bernis, and by a notarial contract in Paris dated 24 Aug. 1758, Bigot had bought an estate near Versailles, the castle and fief of Vaugien, from a receiver general of finance, Jacques-David Ollivier, for 760,000 livres. Abraham Gradis in Bordeaux was found to hold 323,286 livres for Bigot and Denis Goguet of La Rochelle, who had earlier made his own fortune in Canada and continued to deal in Canadian furs, was ordered on 31 July 1764 to pay 279,400 livres in funds he was holding for Bigot. A large sum, probably several hundred thousands, was variously invested in royal and provincial tax farms and private annuities and mortgages by a Paris notary, Charlier, not under Bigot’s own name but that of a front man, Nicolas-Félix Vaudive, a lawyer in the parlement and a clerk of the sessions in the Grand Conseil du Roi, son of a Paris merchant jeweller. This sum included 50,000 livres lent to a Bordeaux shipping merchant, Jean-Patrice Dupuy, who had been trading to Canada. Another large sum had been used to buy 60 shares in a firm of Paris bankers, Banquet et Mallet. 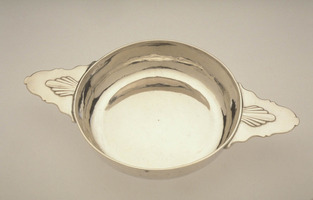 He had also purchased an office of king’s secretary in 1754, and considerable personal belongings, especially a magnificent and unusual set of silverware. When the crown eventually opened some crates held for Bigot by Denis Goguet at La Rochelle, they found large quantities of wine, preserves, and jam, by then quite spoiled. Several agencies were entrusted with the recovery of Bigot’s property and all other assets due to the crown as a result of the affair. 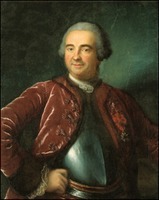 From 4 May 1761 to 1774 the lapsed post of controller for the recovery of crown assets was revived for Pierre-François Boucher, whose business was to account for all property due to the crown. 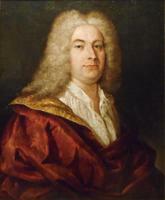 Then, as soon as the court had pronounced the final judgement on the prisoners, the crown was careful to issue a ruling on 31 Dec. 1763 turning over private claims on the confiscated property to the Commission Fontanieu, which had been busy with the settlement of naval and colonial debts since its appointment on 15 Oct. 1758 and had proved its ability and willingness to reduce the crown’s obligations as far as possible [see Alexandre-Robert Hillaire de La Rochette]. 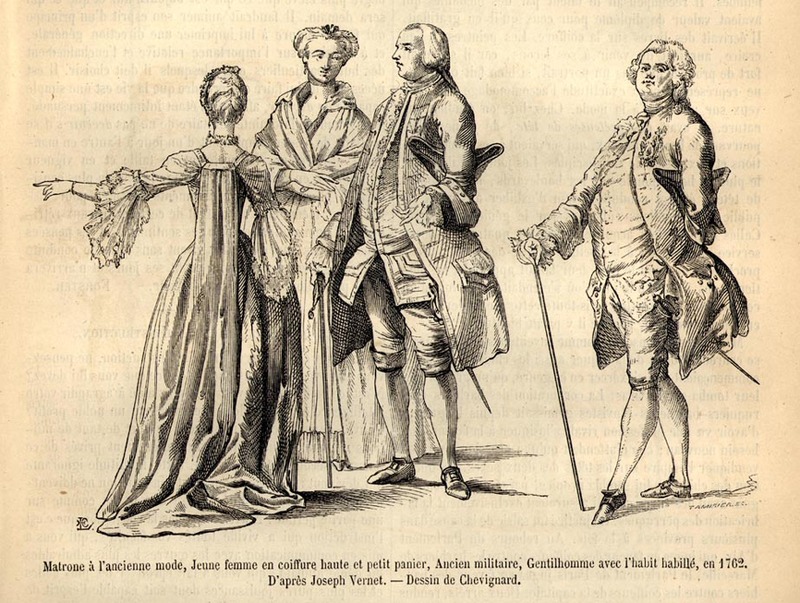 Among hundreds of claims, it awarded Gradis 354,602 livres out of Bigot’s estate by a judgement of 1 March 1768 and it settled the claims of Bigot’s servants: his secretary, Joseph Brassard Deschenaux, his major-domo, Nicolas Martin, and his valet, Jean Hiriart, who had served him from March 1752 until 1 Oct. 1760 at 300 livres a year and then (while living with Bigot in the Bastille) at 400 livres a year plus 30 sous a day for food until the end of 1763. The commission’s final report was not submitted until 7 May 1772. Meanwhile, various notaries and royal treasurers were employed as trustees for the funds collected, and Bigot’s own notaries were approached for information about his affairs by the Châtelet, which thus violated the sacred confidentiality of the notarial profession. By such methods and agencies Bigot lost virtually all his property, and the crown’s debt to him in un-cashed bills of exchange was cancelled. At the same time, the public scandal of Bigot’s corruption made it easy for the crown to treat most of the paper credit instruments from Canada as tainted and so to justify reducing them in value. Even the suspension of these instruments, the delays, and the necessity for the holders of such paper to apply to the government saved over 18 millions in paper never officially reported. By 1764, there appeared to be paper to a total face value of over 83 million livres consisting of more than 49 million in bills of exchange, 25 million in currency notes, and nearly 9 million in notes receivable issued in Canada and never converted into bills of exchange. Ultimately, the total reached nearly 90 million livres of which the crown recognized only 37,607,000 livres, but it could not pay even this sum and so converted it into bonds bearing interest at 4 per cent per annum, a rate of interest at which the French government could not borrow on the money market. Bigot may have cost the government something during the Seven Years’ War, but the cost was largely in paper credit notes that were subsequently reduced by more than half and merely added to the long-term debt, the debt that was to bring the crown to the brink of revolution. He was not, then, destitute. To be sure, his cousins gave him some assistance, but probably it was to his close relationship with the Gradis that he owed his relatively pleasant life in exile. Nevertheless, he felt the burden of dishonour that the 1763 conviction had attached to his name. He never became reconciled to it. In 1771 he obtained permission to spend a few weeks in his own country by claiming he had problems with his health that only the waters at Bagnères could clear up. These troubles were only too real, if Péan is to be believed, for he noted when he went to meet Bigot at Dijon: “I found him in a state of such great weakness that he would not have been able to endure public coaches; I took him in my own, where he several times made me afraid of continuing on the way . . . this respectable man is greatly to be pitied.” For a few days Bigot visited the estate of the Péan family, whose loyalty does not seem to have faltered despite the years. He probably took advantage of his stay to interest the bishop of Blois in his cause, and the next year the bishop took steps with the minister of Marine, Bourgeois de Boynes. Bigot himself dispatched a “Mémoire justificatif” in 1773, and a proposal for lettres de réhabilitation in 1775. But too many influential people who had been party to his trial recalled both the man and his dossier in great detail. Matters remained at a standstill in Paris. [The following sources provided essential information about the Bigot family: the records of notaries in Tours (AD, Indre-et-Loire); the parish registers of that city (Archives municipales); the minute-books of Paris notaries (AN, Minutier central); the genealogical series at the BN; and the records of notaries and parish registers of Bordeaux (AD, Gironde). (We should like to note here that we are much indebted to a Bordeaux researcher, Pierre Julien-Laferrière, who has done a great deal of work in tracing the Bigot family.) Nothing has been found on François Bigot’s early life except his birth certificate; on the first phase of his career the Bigot file in AN, Col., E, should be consulted. For the period commencing in 1739, the date at which his North American career began, the sources are extensive and scattered. The principal ones are in the AN (Col., B, C11A, C11B) . The researcher will certainly find Bigot’s name in the impressive collection of official papers generated by the affaire du Canada: among others, the incomplete but well-indexed Archives de la Bastille, held at the Bibliothèque de l’Arsenal; papers at the AN, V7, cartons 362–65 (commissions extraordinaires); and numerous factums and printed materials, a comprehensive list of which appears in the bibliography of Frégault, François Bigot, a work that is still the best starting point for a study of the man. A great many documents of major interest are readily accessible and well edited in Docs. relating to Canadian currency during the French period (Shortt). Certain series at the AN which have as yet been little studied – E (Conseil du roi) and Y (Châtelet), for example – probably contain documents concerning Bigot. A number of notarial archive groups furnish information of varying importance but unequalled detail; for example, AN, Minutier central, XVIII, LVII; AD, Gironde (Bordeaux), Minutes Baron, Minutes Dubos, Minutes Faugas (all notaries of Bordeaux); ANQ-Q, Greffe de Claude Barolet, Greffe de J.-C. Panet. J. F. Bosher and J.-C. Dubé, “BIGOT, FRANÇOIS (d. 1778),” in Dictionary of Canadian Biography, vol. 4, University of Toronto/Université Laval, 2003–, accessed April 22, 2019, http://www.biographi.ca/en/bio/bigot_francois_1778_4E.html.